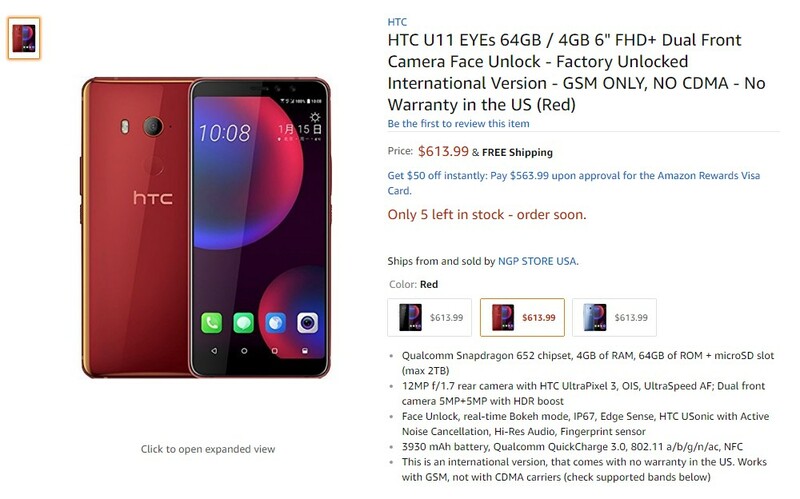 The HTC U11 EYEs – which was made official this week and is currently only available in Taiwan – is now available for purchase internationally thanks to Amazon. 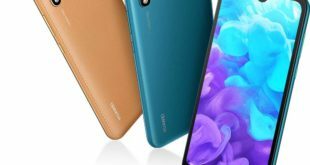 The Amazon.com online store is selling the 64GB variant of the handset for $613.99 with free shipping, up from its usual price of TWD 14,900 – approximately $504 based on current exchange rate. The device comes in three Red, Black, and Silver color options. LTE-TDD band 38(2600), 40(2300). Works with GSM, not with CDMA carriers. 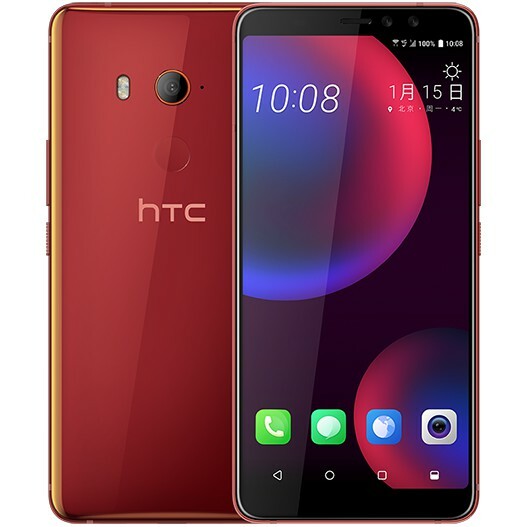 On the camera front, it has the same 12-megapixels HTC UltraPixel 3 rear camera with Optical image stabilization (OIS), f/1.7 aperture, Phase Detection Auto Focus (PDAF), BSI sensor, 4K video recording and dual LED flash. For selfie, there is dual 5-megapixel front camera sensor with f/2.2 aperture, 80-degree wide-angle lens, Real-time bokeh effects and HDR Enhancement. 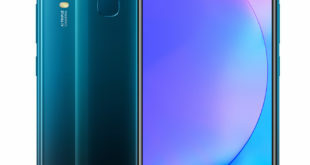 The HTC U11 EYEs has a fingerprint sensor on the back and also comes with Face Recognition Unlocking. 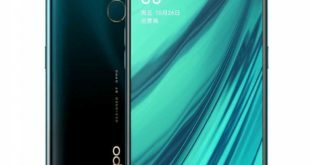 The handset runs on Android 7.1.2 Nougat OS with HTC Sense UI and packs a 3930mAh battery support for Qualcomm Quick Charge 3.0 fast charging capabilities. It supports dual SIM slot with dual standby. 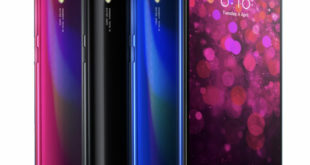 For connectivity includes 4G VoLTE, 3G, Wi-Fi 802.11 b/g/n/ac, GPS, A-GPS, GLONASS, Bluetooth 4.2, and USB 2.0 Type-C options. It measures 157.9 x 74.99 x 8.5 mm and weighs 185 grams.